Matthew Jeffery is a licensed immigration lawyer Oakville with more than 20 years of experience in this field. Mr. Jeffery has handled numerous immigration matters including appeals before the Immigration and Refugee Board, citizenship revocation matters and assisting clients with permanent residence, citizenship and Express Entry applications. As a licensed immigration lawyer in Canada, he is fully capable of representing clients in the Canadian courts for immigration appeals and other litigation matters. When looking to sponsor a spouse, child, parent or grandparent to live in Canada, you have to consider every aspect that will ensure your application is approved. For instance, you must show the immigration authorities that you have sufficient income to cater for the needs of the sponsored person. You will be required to enter into a written agreement with the Canadian government to support the sponsored person for a specific number of years (3 years for spouses, 10 years for children, 20 years for parents and grandparents). If you need help in renewing your permanent residence card, we can provide you with all the information you need to increase your chances of maintaining your permanent residence status. The PR card is usually valid for 5 years from the date of issue and you’ll need to fulfill the residency requirements in order to renew your card once it expires. You must have been physically present in Canada for at least two years within the past five years. The Express Entry system gives employers in Canada a very important role in the immigration process. Skilled workers can enroll into the program after fulfilling the minimum requirements. They can then wait to receive an invitation to apply. You can create a profile on Job Bank to be selected by Canadian employers based on your skills and qualifications. When you receive a job offer from a Canadian employer, your rank in the pool increases instantly. This increases your chances of receiving an invitation to apply for permanent residence. This allows the immigration department to fast track your permanent resident application. If the employer needs you to travel to Canada sooner, you can get a work permit or the employer can sponsor you for permanent residence in order to get you in the country faster. An immigration lawyer Oakville can help you understand all your options in this process. A temporary resident visa allows you to enter Canada for a given period of time. Each type of temporary visa such as study permit or work permit has specific requirements which you need to fulfill in order for your application to be approved. 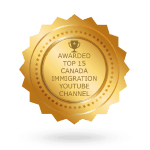 Work with a lawyer to help you show the immigration authorities that your entry into Canada is justified. Mr. Jeffery will give you the assistance you need with the temporary visa application to ensure the best chances of approval. As a permanent resident of Canada, you may wish to apply for Canadian citizenship if you meet certain residency requirements. The Citizenship Act requires that permanent residents live in Canada for at least three years in the 5-year period immediately before they can apply for citizenship. You also need to pass the knowledge of Canada test, demonstrate that you have sufficient English and French language skills as well as show that you have filed income tax returns for at least three years in the relevant period. 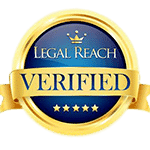 An immigration lawyer can help you to understand all your when applying for citizenship. Mr. Jeffery and his team will help you with any challenges you may be experiencing with your citizenship application. Has your permanent resident application been rejected? 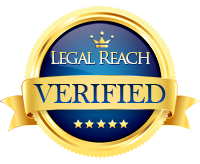 Having a qualified lawyer to give you the legal support you need through the immigration appeal process will increase the chances of a successful outcome. Whether you believe you have been unfairly deported or your permanent residence application has been refused, an experienced lawyer like Matthew Jeffery can give you proper legal representation to increase your chances of being allowed to stay in Canada. Inadmissibility cases are complex and unique, to say the least. The situations vary from one individual to another. You may be declared inadmissible due to medical issues, misrepresentation or a criminal conviction abroad. Whatever the case, we promise to help you understand your options and handle your situation confidentially. Oakville, Ontario features a young and increasingly diverse population of nearly 200 000 residents, and Matthew Jeffery is proud to provide them with his expert legal advice on all matters regarding Canadian immigration and citizenship. Thanks to its close proximity to the popular immigration destination city of Toronto, Oakville is experiencing increased growth through immigrants choosing to settle just outside of the increasingly-busy city. The area was established from a collection of traditional neighborhoods, of which many retain their individual character and charms. 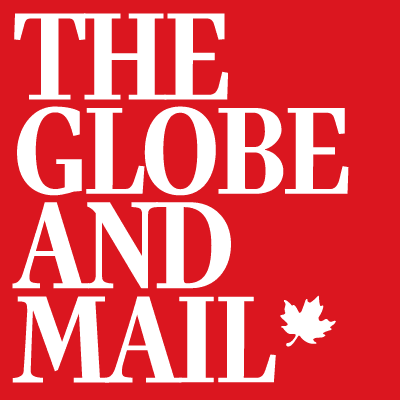 With a long history of sporting and supporting the arts, Oakville is home to the Canadian Soccer League with the largest soccer club in Canada calling it home. It is also home to an annual Jazz festival which takes place each summer and several other events throughout the years. The most popular -and longest running- festival is the Waterfront Festival which began in 1982 and has returned almost every year since its inception, bringing arts and crafts, free concerts, nightly fireworks, food and drinks, and small amusement park rides to the people of Oakville. An increasingly popular destination for young families entering the country, Oakville is small enough to feel safe and friendly and close enough to Toronto to offer everything a young family could want within a short drive of home. 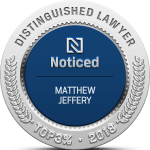 For immigrants living in Oakville and seeking assistance or advice on any legal issue relating to their immigration status, there is no better place to go than the Law Office of Matthew Jeffery. Specializing in Canadian immigration law, Matthew Jeffery is the barrister and solicitor that can help you.